In this file photo, actor Kevin Spacey performs onstage during the MPTF 95th anniversary celebration with "Hollywood's Night Under The Stars" at MPTF Wasserman Campus on Oct. 1, 2016, in Los Angeles. Sony Pictures has pulled the film "All the Money in the World" from its AFI Fest premiere following the sexual misconduct allegations made against co-star Kevin Spacey. In a statement Monday, Sony's TriStar Pictures said it was withdrawing the film from the Los Angeles festival because "it would be inappropriate to celebrate a gala at this difficult time." It had been slated to be the festival's closing night film on November 16. Directed by Ridley Scott, "All the Money in the World" is one of the fall movie season's more anticipated releases, with many expecting it to be a potential Oscar contender. In it, Spacey plays oil tycoon J. Paul Getty. When his 16-year-old grandson is kidnapped, Getty refuses to pay the ransom. The boy's mother (Michelle Williams) and Getty's adviser (Mark Wahlberg) work to recapture him. TriStar said the film's December 22 release date remains unchanged, a decision that for now preserves the awards-season position of "All the Money in the World." Netflix announced Monday its plan to end hit drama “House of Cards” after season six in 2018. The news comes a day after actor Anthony Rapp alleged “House of Cards” star Kevin Spacey made unwanted sexual advances on him when he was 14 years old. "A film is not the work of one person. There are over 800 other actors, writers, artists, craftspeople and crew who worked tirelessly and ethically on this film, some for years, including one of cinema's master directors," said TriStar. "It would be a gross injustice to punish all of them for the wrongdoings of one supporting actor in the film." The AFI Fest said it supported Sony's decision to postpone the film's premiere "in order to ensure the thousands of people who worked together on this film are honored at a proper time and in a proper light." The festival made no announcement of a replacement film. 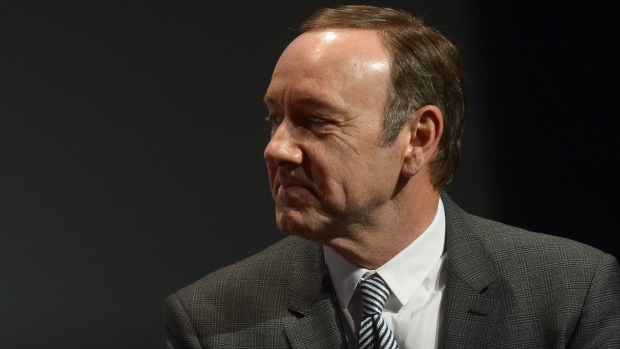 Netflix on Friday cut ties with Spacey, the star of its hit drama series "House of Cards." Production on its sixth season has been suspended indefinitely. The company also scuttled its Gore Vidal biopic, with Spacey starring as the author, even though it had just finished shooting. "Star Trek" actor Anthony Rapp last week claimed that Spacey made sexual advances against him in 1986, when he was 14. 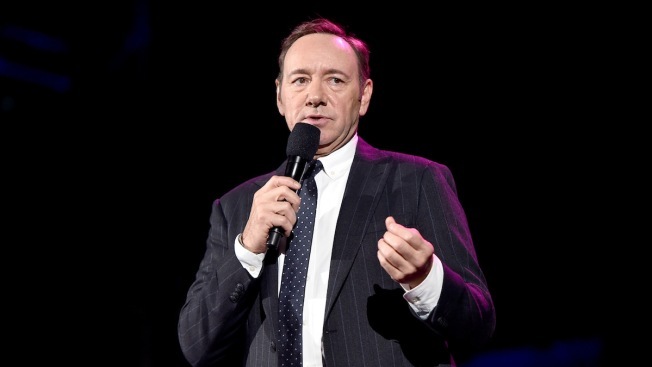 In the days since, numerous others have also come forward to make various allegations of sexual harassment and assault against Spacey. London police are reportedly investigating Spacey for a 2008 sexual assault. Spacey has not responded to the mounting allegations but apologized to Rapp for what he called "deeply inappropriate drunken behavior."